Please note Surati Ponk and Undhiyu Ujani occurred in past. 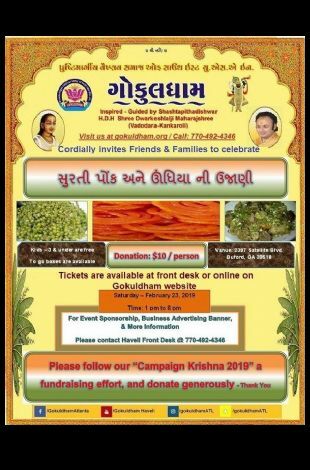 Gokuldham Haveli Atlanta is celebrating Surati Ponk and Undhiyu Ujani. 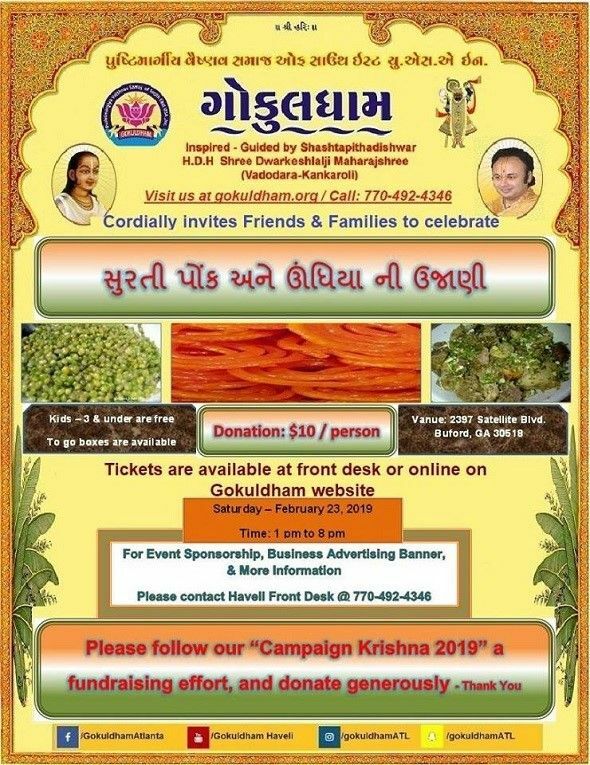 Join with friends and family.